Bupa members in Brisbane who have complex symptoms or are in the last few days of their life can now chose to receive intensive, specialist palliative care services at home thanks to St Vincent’s Health Australia and Bupa two-year pilot program. Research by The Grattan Institute suggests there is an unmet need for at-home palliative care services. Some 70 percent of Australians would prefer to die at home, however less than 15 percent do so. Cheryle Royle, Chief Executive Officer (CEO) of St Vincent's Private Hospital Brisbane, which operates Queensland's largest palliative care inpatient unit and a Specialist Palliative Care Community Service, says palliative care in Australia is facing some serious challenges, including a lack of funding and private sector involvement. "Bupa has stepped in to help address this need and provide choice for patients who want to receive palliative care at home, where they can be with family and friends – which we know can improve their quality of life,” she says. "Without these options, many people find themselves pulled into the hospital system at the end of their life, which can be traumatic for them and their family." Dr Dwayne Crombie, Managing Director of Bupa Health Insurance, points out with an ageing population, it is becoming increasingly important models of care that provide people with dignity, respect and the choice to receive palliative care where they want are explored. 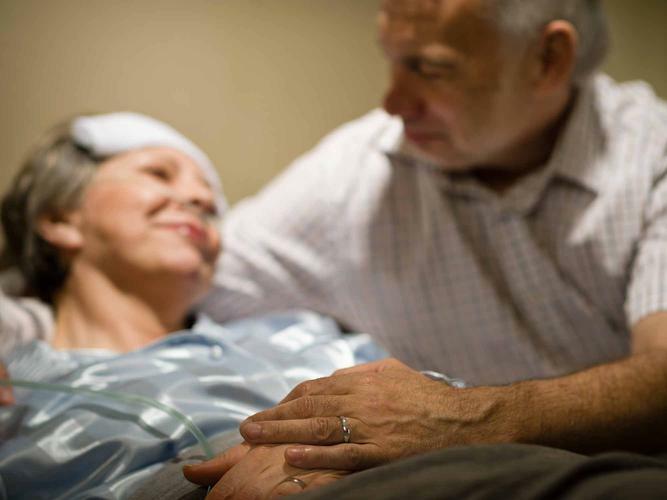 "We know that people who receive early and appropriate palliative care at home can have an improved quality of life with fewer symptoms and longer survival than those managed in an acute hospital setting," he says. Eligible patients referred to the program will receive a comprehensive assessment by the Specialist Palliative Care Team at St Vincent's Private Hospital Brisbane, either at the patient's home or at the hospital. A care plan is then developed for the patient in conjunction with their carer or family. St Vincent's Health Australia and Bupa will evaluate the pilot on outcomes including the patient's experience receiving palliative care at home compared to in hospital, the number of patients who received palliative care at their preferred location, and health care costs. For more information about the pilot program contact Community Palliative Care Services Manager Annabelle May on 07 3240 1168 or fill out the online form.